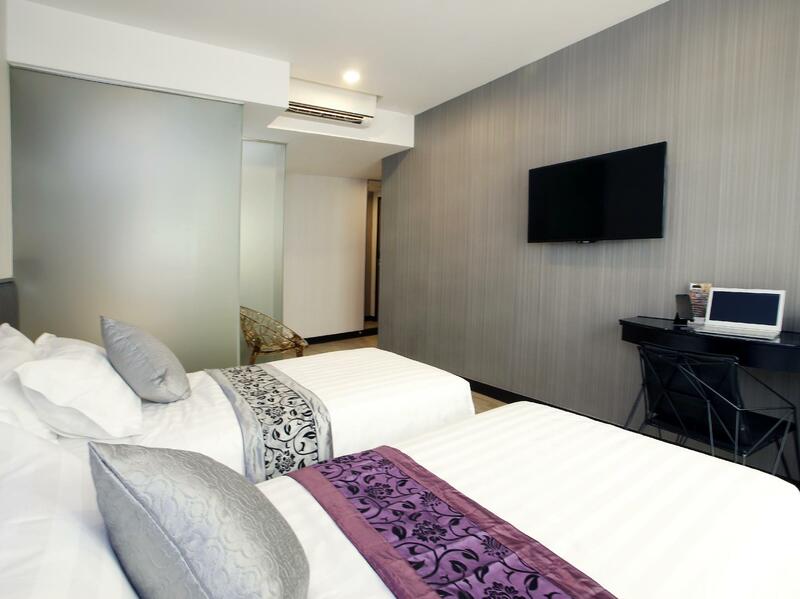 "The location is good because it is near the tram station and mtr." "Very good I love it Hotel near tram"
"Good location and convenient for shopping and sight-seeing." Designed for both business and leisure travel, M1 Hotel North Point is ideally situated in North Point; one of the city's most popular locales. The excitement of the city center is only 2 km away. With its convenient location, the hotel offers easy access to the city's must-see destinations. 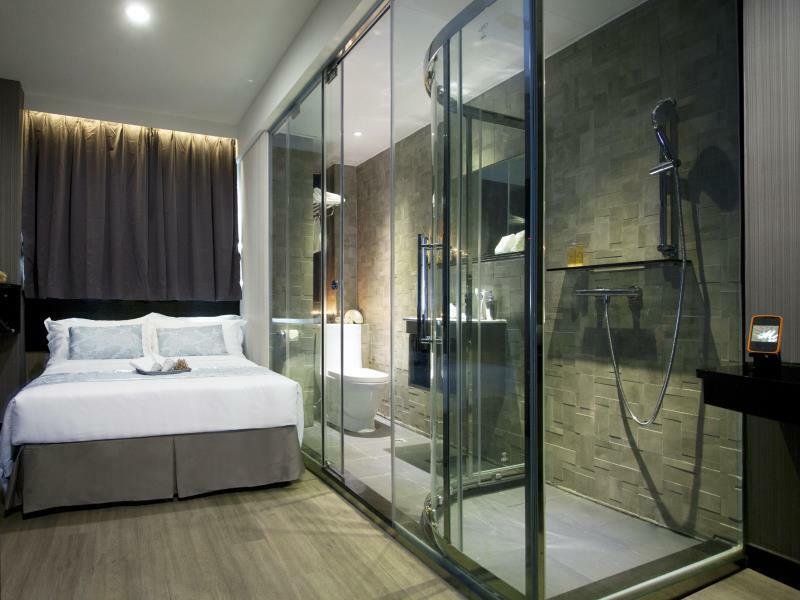 At M1 Hotel North Point, the excellent service and superior facilities make for an unforgettable stay. A selection of top-class facilities such as free Wi-Fi in all rooms, 24-hour security, daily housekeeping, taxi service, ticket service can be enjoyed at the hotel. All guest accommodations feature thoughtful amenities to ensure an unparalleled sense of comfort. Besides, the hotel's host of recreational offerings ensures you have plenty to do during your stay. Whatever your reason for visiting Hong Kong, the M1 Hotel North Point is the perfect venue for an exhilarating and exciting break away. "A very strategic location, minutes walking for bus, mrt." This hotel is fancy, comfortable and stylish. I was very impressed with my room as it was very spacious, which even some hotels for similar prices in Hong Kong are not. I actually was here for a week for work and not travel, so I really appreciated how comfortable my room was and how well stocked it was, with free coffee, bottles of water, and toiletries. The staff were very helpful and courteous. Right after I checked out, they even found something of mine in my room and notified me right away. The hotel is on a small market street where the tram goes through and is very busy up until 7 pm or so, which means you have a nice, bustling atmosphere during the day and evening, and quiet at night. A few minutes walk to the Major street King’s road, 8min to the Subway station . It’s a street market when you step out of the of the hotel which to me is good , I can see more of the local life and may buy something as well . OK location, small hotel, close to all public transportation but the location is right in the wet market, very dirty and wet all the time. bedroom's space is ok, one person is doable, but not the best, you can smell the bathroom even you've closed the bathroom door. It's a small hotel situated just above a market street. Great because just stepping out in the morning you get the hustle and bustle of HK. Close proximity to food and transport. Good. Porridge round the corner. Room was dirty with toilet smells like sewage. The Grayish floor board was very effective to hide dirt and sand. Got 6 rooms in total for a family affair. Very satisfied with the room. Some rooms are a bit smaller than the rest. I got 1101 which is bigger than some. Ask for a room 01 on whatever floor is available. Place is decent enough, totally different from the area outside which is a typical Chinese wet market. Just next to tram station and just less 500m from MTR. This place is so noisy with market just below the building. Plus the hotel required like 500hkd for deposit! Why do you need that much? Plus the hotel staff isn't friendly. Ill not stay here next time. A huge wet market is outside the hotel lobby, which has a strange smell. It is a great view to see the daily life of HKer but a bit unclean for a hotel to face such a wet market. The hotel is neighboring to a busy high-rising residential area, so you cannot really see much from the window, and occasionally you can smell neighboring units' Chinese cooking smell. Thus, this place is definitely not recommended for business travelers, maybe for budget leisure traveler maybe. Very clean place. Rooms are small but OK for Hong Kong Standards. The location is well connected but the surroundings (wet market) may put off some people. We are regular visitors to Hong Kong but used "M1" for the first time. The stay was satisfactory but must say a strange thing happened during the stay. When we reached the hotel, no rooms were ready. We were told that it may take an hour or so, for departures and cleaning the rooms to get them ready. Fair enough, but when we left our baggage in the security and asked for directions to "toilet" in the lobby, we were told that "there is none. You can use your room toilet (but obviously only after checking in, which was to take place perhaps after an hour)"
I always stay at this hotel since it is most convenient to my mother's place in North Point. Room size is small but it has everything that I need. Service is good. Good value for money. Location is great considering the location of my mother's abode. very good location walking distance to mtr, bus and tram station, room is clean and comfortable. The bed has a very short length, difficult to sleep as part of my legs do not get support. There are only 2 elevators, it gets overcrowded and you need to wait a very long time for the elevator. The mini fridge had a very low temperature which caused my beverages to nearly freeze while I did not want that, and it was not possible to change the temperature. This hotel must improve a lot. I was pleasantly surprised that we were literally in the middle of a super traditional market. However it's very close to all modern conveniences and next to a tram stop and a 5 minute walk from the MTR. Location is on the same street as a wet market and smells very heavily of fish and meat, especially when you step outside of the hotel in the morning. Other than that, it was a great little hotel, reasonably priced and an 8 minute walk to the MTR. Extremely spacious room with full amenities (toiletries and coffee and tea included). Very comfortable (air conditioned and with a hot and cold shower). 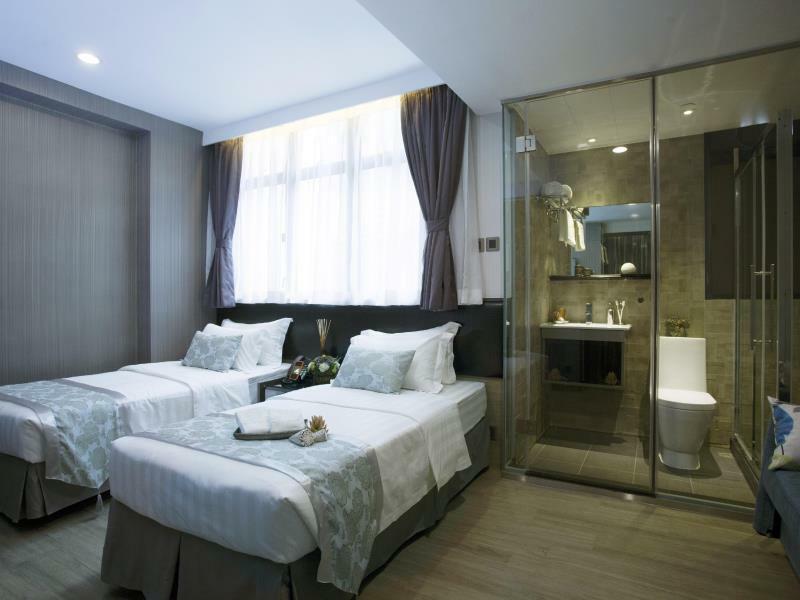 Convenient location, walking distance from either North Point or Fortress Hill MTR stations. A bustling area with a market and lots of eating establishments nearby.